Edward Grant Barrow was a big, bold man, and he lived a big, bold, life. He was born in 1868 to a pioneer homesteading family on the edge of the hardscrabble unsettled Midwestern prairie (and given his middle name in honor of the Union general under whom Barrow’s father had served as a foot soldier). Barrow died in 1953 in an affluent suburb of New York City, famous, accomplished and fulfilled. In between, Barrow was an amateur pitcher, a boxing promoter (and never a stranger to fisticuffs himself), a carpet-cleaning entrepreneur, a hotel operator and a theatrical producer, all with quite limited success. He was also a minor league owner and manager, president of two minor leagues and a major league manager and general manager. Barrow signed Honus Wagner to his first professional contract, converted Babe Ruth from pitcher to outfielder, and was the architect of the most successful franchise of all time. His imprint on baseball history can scarcely be overstated. Such a life can’t be adequately encapsulated with brevity or superficiality. A biography of Barrow needs to be ready to stand up to his towering stature; just as Barrow the man didn’t suffer fools gladly, Barrow the historical figure presents a challenge no less intimidating. A biographer who isn’t as serious as a heart attack isn’t going to collar this bulldog. Thus Dan Levitt’s Ed Barrow: The Bulldog Who Built the Yankees’ First Dynasty is, among its other virtues, a demonstration of intrepid resolve. It took a half-century after Barrow’s death for his biography to appear, but the wait is over, and Levitt’s achievement is worthy of his mighty subject. Perhaps necessarily, Levitt’s book itself exhibits Barrow-like characteristics. It’s a hefty side of beef, direct and straightforward, with no indulgence of artifice or adornment. This is no quick, light read, no lyrical, sepia-toned celebration. Barrow the man commanded respect, and Levitt’s biography has little patience for a trifling reader. Barrow’s career as a baseball executive was so expansive, and so crucially engaged in the creation of what we now take for granted as “organized baseball,” that nearly as much as a biography, Levitt has produced a full-blown history of the development of the baseball business. While this may be a bit off-putting to the casual fan—those seeking dramatic play-by-play recountings of famous ball games may come away disappointed—in fact it’s the book’s central strength. It would be impossible to properly understand Barrow’s career by focusing on Ruth’s slugging exploits, or the Yankees’ many triumphant pennant drives. As Levitt plainly and carefully demonstrates, Barrow’s true importance is revealed in deeper analysis of fiscal and operational details. It’s in this realm that the scope of Levitt’s painstaking research is most impressive. An extraordinarily unusual and valuable element of this volume is its appendix, which includes a series of tables detailing various salary ranges, financial statements, payments, profits, payrolls, population-attendance comparisons and so on. The main text extracts hefty ore from this mine, and is thus rich with facts, insights, and connections that present rare illumination on the inner workings of the business of professional baseball in Barrow’s time. Page after page, episode after episode, Levitt provides primary-source details of waiver manipulations, roster and draft rule debates, and owners’ meeting intrigues. This is the essence of “inside baseball” as surely as any bunt, steal or pickoff. Consider chapter 19 of Ed Barrow. It addresses the competitive situation facing both major and minor league baseball in the late 1920s/early 1930s period, and specifically focuses on the understandings, agreements and rule adoptions that established the conditions under which the farm system was advanced and institutionalized. Over the space of 20 pages, Levitt frames and sorts the snarl of issues, granting center stage to extended direct quotations from transcripts of both the 1929 and 1931 winter meetings, chaired by Commissioner Kenesaw Mountain Landis. In their own candid words, we hear the perspectives and concerns of Landis, St. Louis Cardinals vice president Branch Rickey, New York Yankees owner Jacob Ruppert (Barrow’s boss), and others. This is complicated stuff, but Levitt efficiently weaves it into a coherent tapestry. Quite simply, this is the most insightful and informative treatment of this difficult topic I’ve ever encountered. It’s exquisite, a “you are there” revelation of history being messily hammered out. Rickey, Barrow’s contemporary, was of course his fellow titan in leading the course of that history; as Barrow triumphantly strode ahead of the rest of the American League in the 1920s, ’30s, and ‘40s, Rickey did the same in the NL. Yet while comparable in achievement, the two men were quite distinct in personality. Rickey was verbose and eloquent, while Barrow was plain-spoken. Rickey was an ardent self-promoter who craved the limelight, while Barrow was happy to remain largely out of the public eye. Rickey was a visionary whose grand schemes sometimes outran his practical capabilities, while Barrow was a methodical realist whose meticulous operational excellence was unsurpassed. That fellow sitting across the table is the smartest man who ever was in baseball. I will take this glass to prove my point. (Rickey held up an empty champagne glass as a prop.) I adjudge this glass to be perfect in appearance, of excellent material and sound and exquisite construction. Now if I am a connoisseur of glassware, you accept my opinion of it. I am an expert. I have spoken. Now mark the distinction between Mr. Barrow and myself. I have said this is a fine glass. It is Mr. Barrow, however, who would tell you far better than I whether this table, with its silverware, its glasses, its china and its floral decorations, is properly laid out. He knows whether it is balanced or not. That is the difference between Mr. Barrow and myself. That is why I say there has never been a smarter baseball man than Mr. Barrow. He knows what a club needs to achieve balance, what a club needs to become a pennant winner. I, perhaps, can judge the part, but Mr. Barrow can judge the whole. Like Barrow, Rickey’s sprawling career has long daunted most biographers, but in 2007 we were presented with a comprehensive new Rickey bio, Lee Lowenfish’s masterful Branch Rickey: Baseball’s Ferocious Gentleman. As with Levitt’s book, Lowenfish’s is an encyclopedic chronicle brimming with amazing detail. Yet just as Levitt’s prose tends to reflect the style of his chosen subject—steady, measured, sober—Lowenfish offers a pace and mood more like Rickey himself: grand, emotive, and poetic. Indeed, capable and effective though Levitt is, he isn’t a writer with the deftness and wit of Lowenfish. Thus, as extraordinary a biography as Ed Barrow is, it falls a bit short of Lowenfish’s achievement. 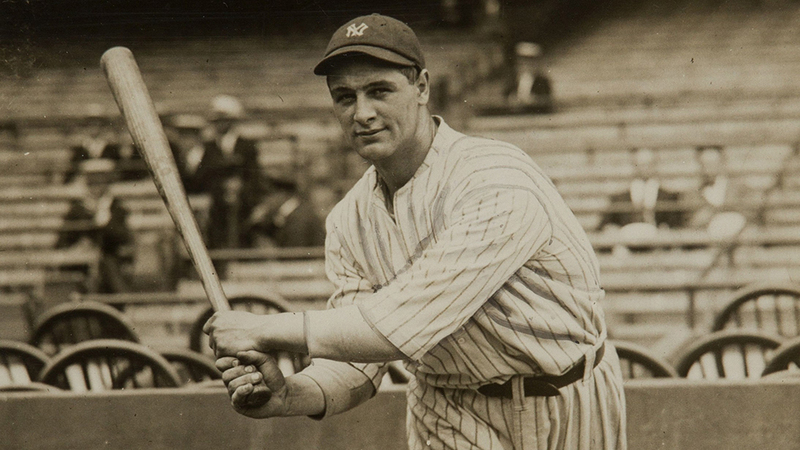 But this is hardly a complaint; consider it along the lines of as extraordinary a ballplayer as Lou Gehrig was, he fell a bit short of Babe Ruth’s achievement. That’s the magnitude of serious baseball biographies we’re dealing with here: They belong side by side on your bookshelf, in the section reserved for the built-to-last heavyweights. Daniel R. Levitt, Ed Barrow: The Bulldog Who Built the Yankees’ First Dynasty, Lincoln: University of Nebraska Press, 2008. Lee Lowenfish, Branch Rickey: Baseball’s Ferocious Gentleman, Lincoln: University of Nebraska Press, 2007. One minor knock on Levitt’s book: While it contains a huge bibliography, and Levitt provides seven pages’ worth of helpful “Notes on Sources,” the book doesn’t include specific page-by-page annotations, as Lowenfish’s does.